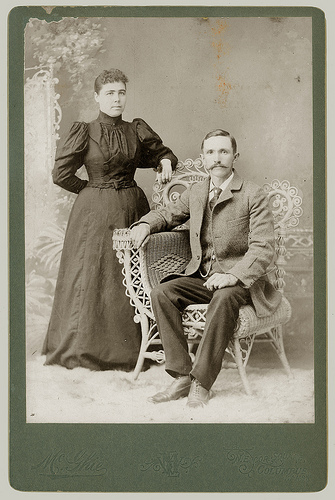 There were about a dozen photographers named Ernst in the cabinet card era. 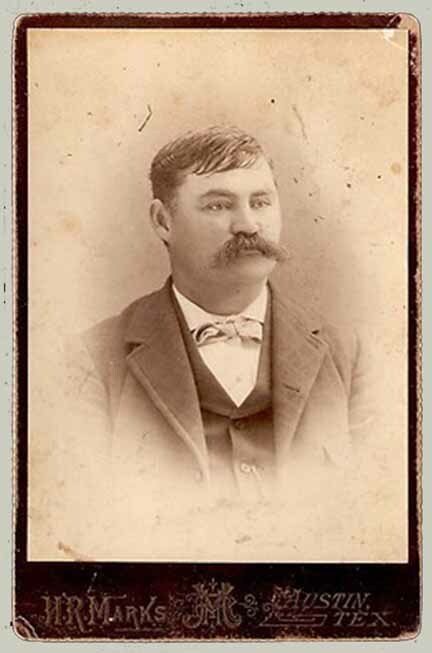 Worse, there were two or possibly three men named George Ernst living in Quincy, IL between 1887 and 1900. 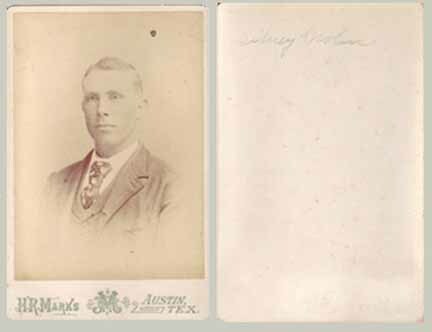 The only time an address similar to the one on the cabinet card here found was the one in 1896 at 601 Hampshire. 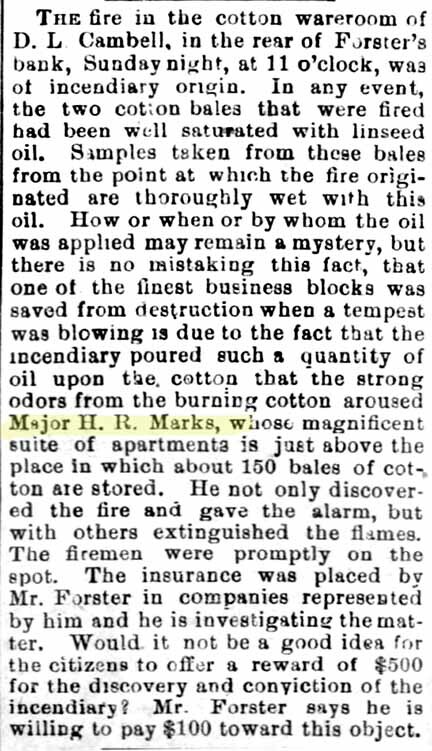 601 would be on the corner of sixth and Hampshire. 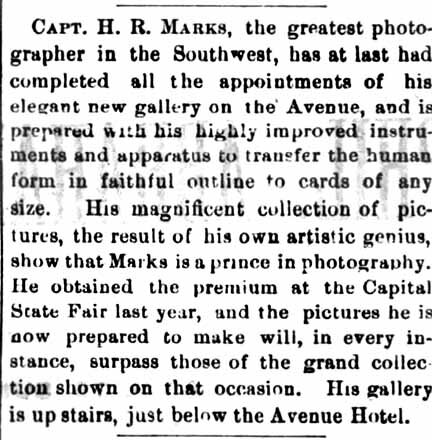 All the same photographer Ernst or all different? 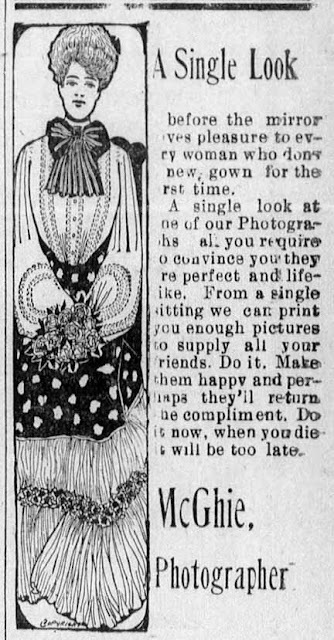 Not the one you were looking for? 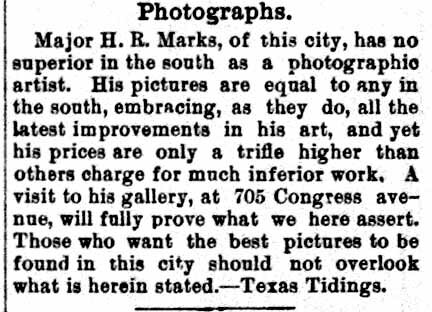 Here's the photographer's INDEX by name. 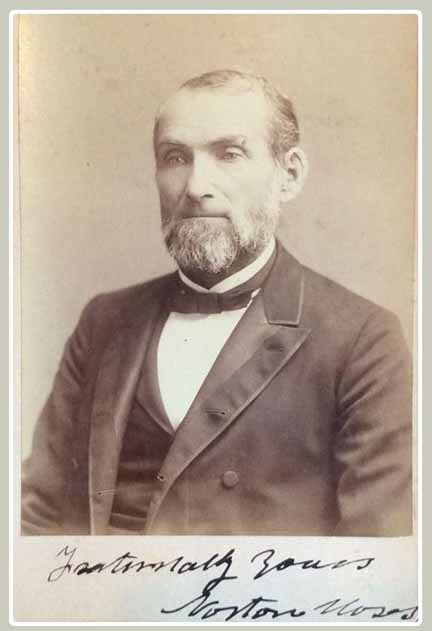 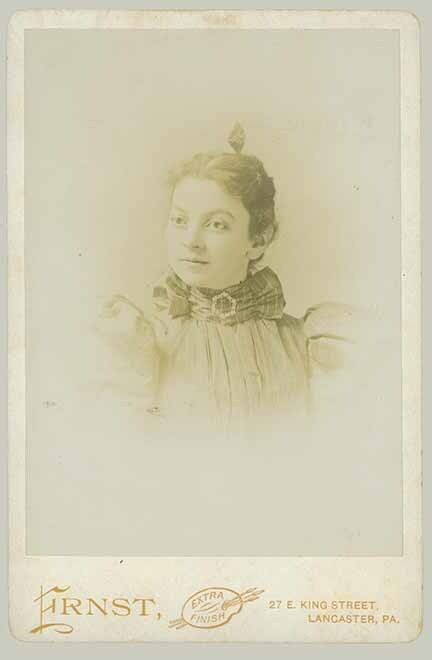 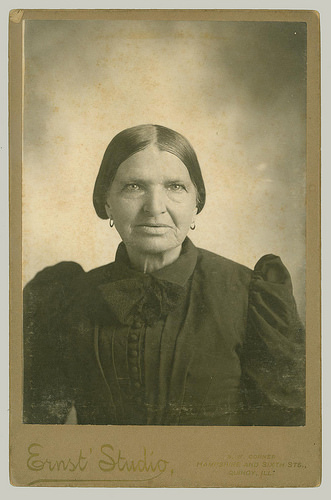 Listed here are all the Cabinet Card photographers of the 19th century found in LOST GALLERY. 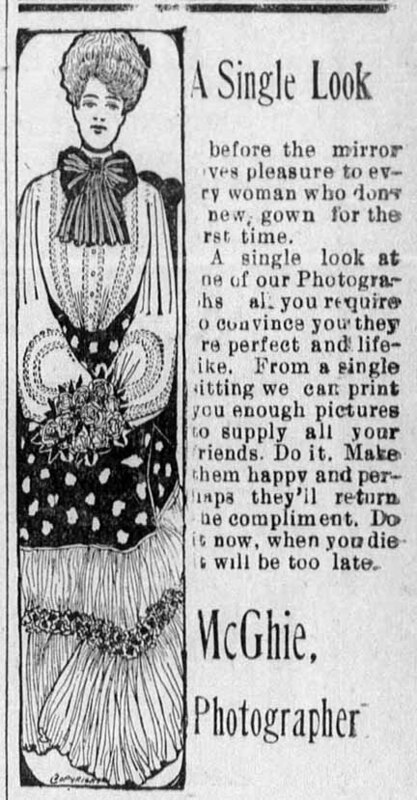 This is a work in progress. 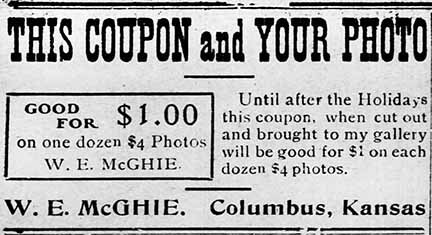 For a look at the original postings go to LOST GALLERY. 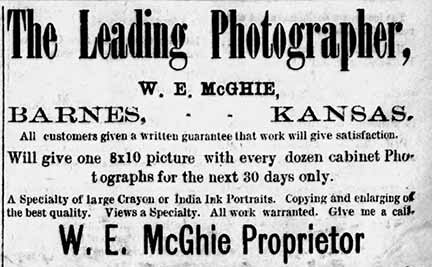 In August of 1891 McGhie was working in a studio in Mankato, KS, but by July of 1892 he had his own studio in Barnes, KA. 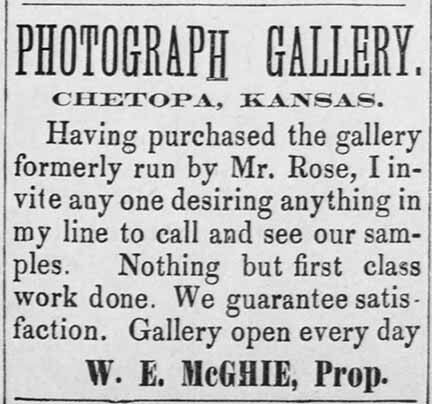 Early in 1893 McGhie purchases the Rose Gallery in Chetopa. 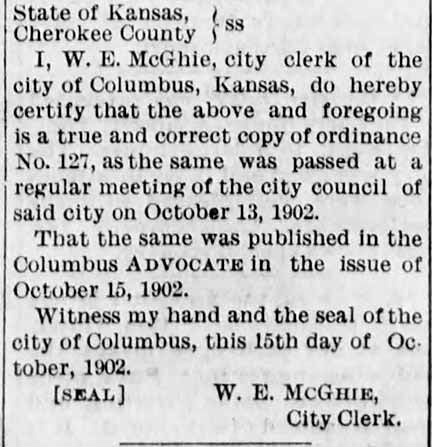 KS. 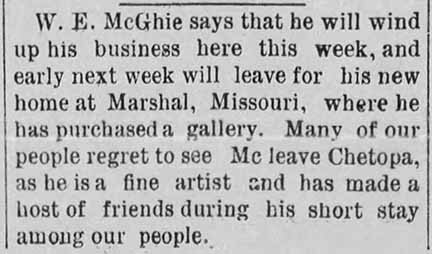 McGhie operates there until May of 1894 when he sells the gallery to J B Pratt of Garnet, KS, and then moves to Marshal, MO. 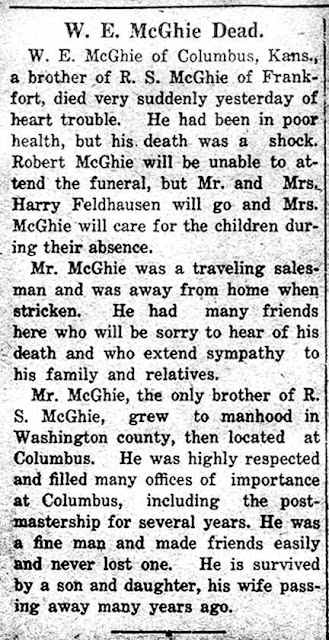 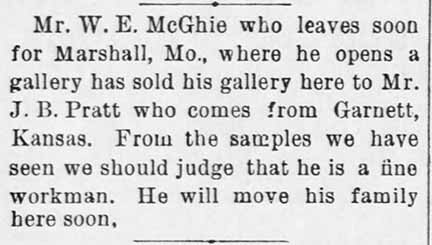 No records have been found following McGhie in Marshal, MO, so his stay was probably brief. 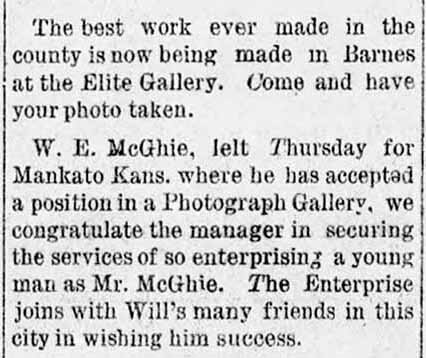 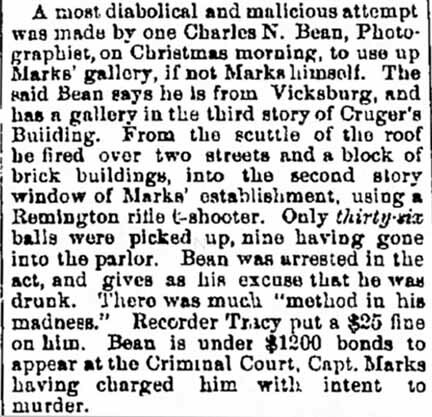 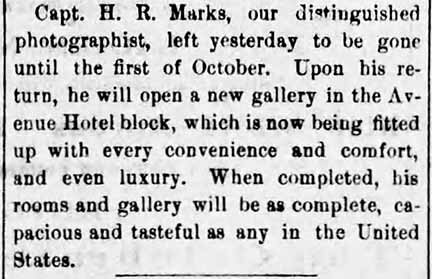 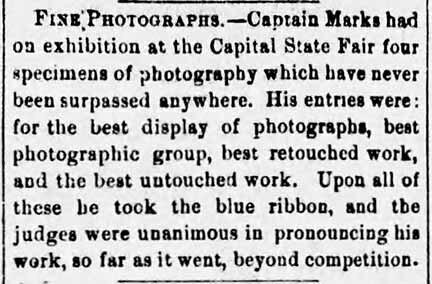 By June of 1896 he is shown as the “New” photographer in Columbus, KS. 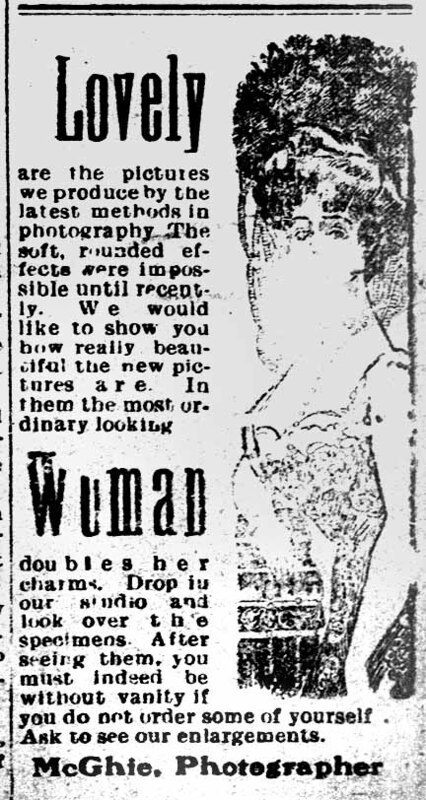 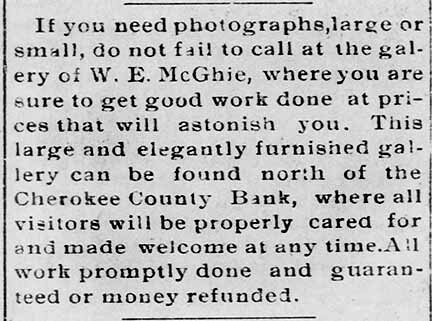 W H McGhie apparently maintained a photograph studio in Columbus, KS, from 1896 until 1909. 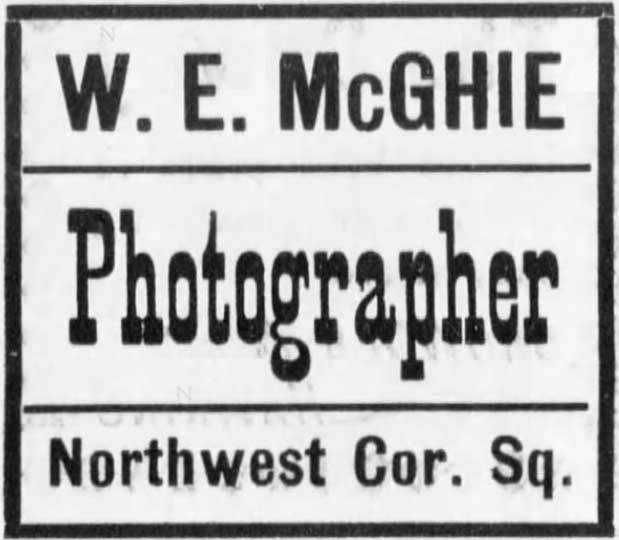 No records have been found after 1909 to show McGhie was still connected with photography or that a studio still existed. 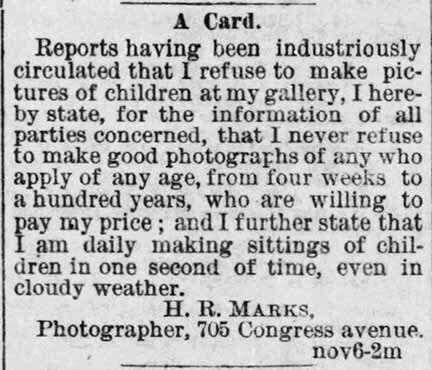 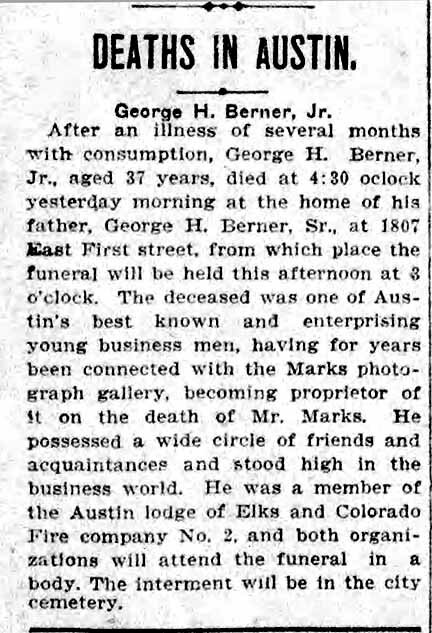 Not even his obituary in 1926 mentions his career in photography. 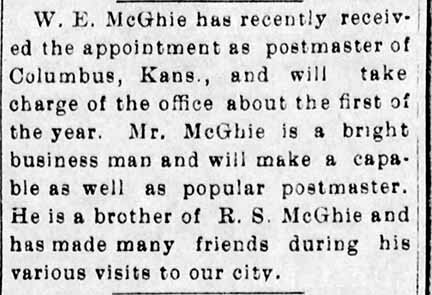 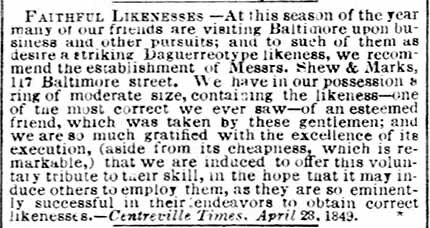 Over those years, the studio apparently was often operated by hired photographers as newspaper items show that McGhie built and operated an Opera House, travelled for Western Cigar and Tobacco Company and served as Postmaster in Columbus, KS. 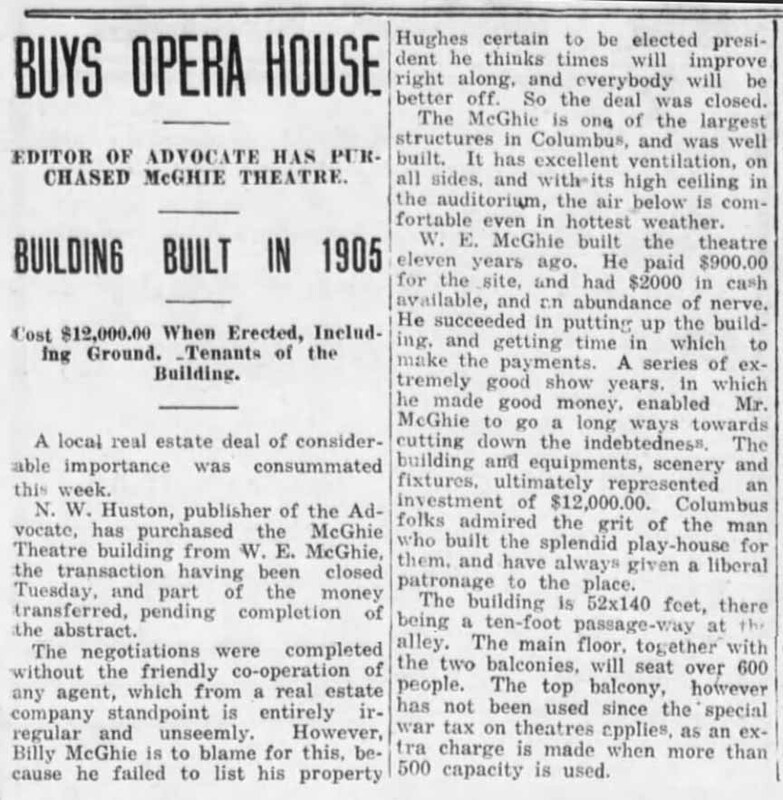 Opened in November 1904 as the McGhie Theater. 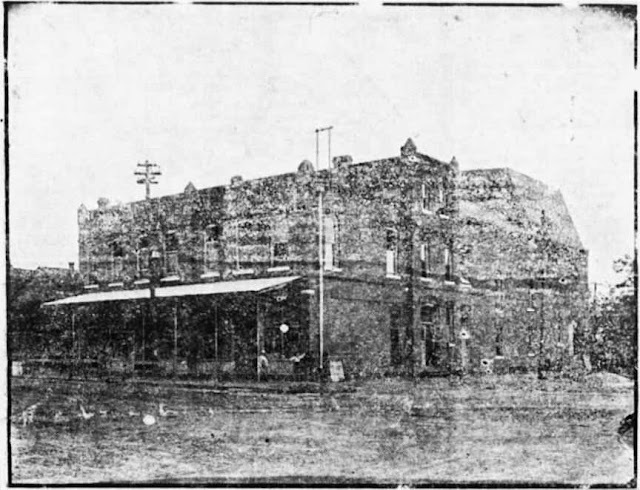 It operated as a venue for live shows until 1911, when it began showing movies. 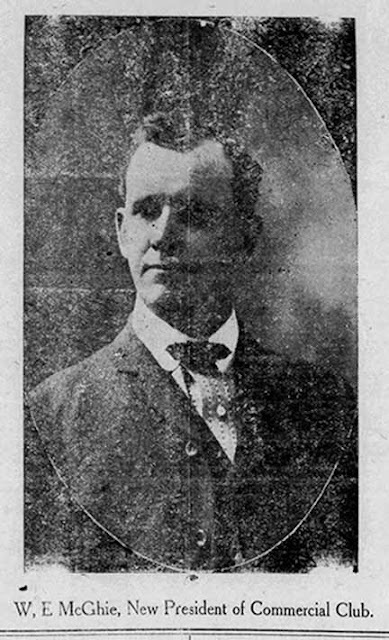 By 1919 it had been renamed Liberty Theater. In 1925, the theater was nearly destroyed by fire, but was renovated. It continued showing movies until the 1970’s, when it was converted into a disco. 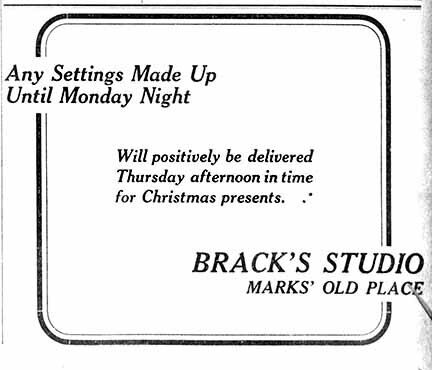 When the disco craze bottomed out, it became the home for several businesses. But, currently, the theater is empty. This page is under construction for contributor C Lind. 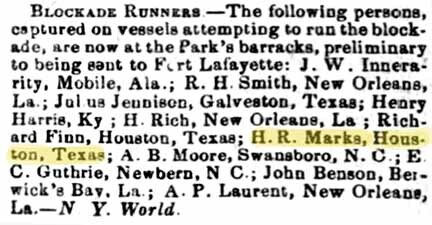 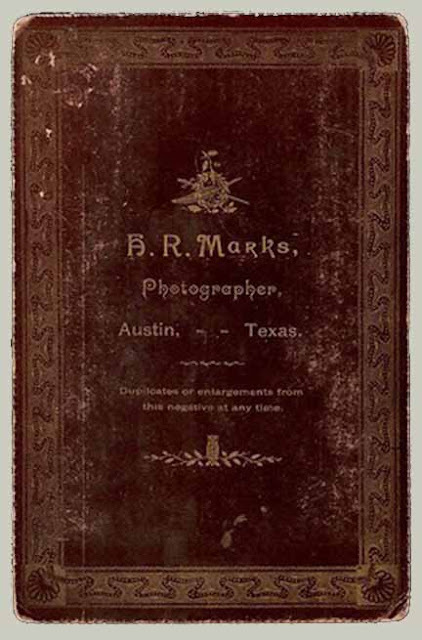 There is an excellent accounting of the life of H R Marks in the fine book, “Pioneer Photographers from the Mississippi to the Great Divide”, by Peter E. Palmquist and ‎Thomas R. Kailbourn, so only a brief timeline will be shown here. 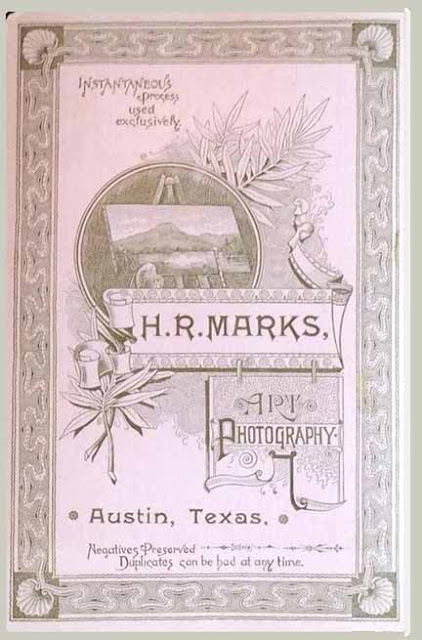 The popularity and "Brand" recognition of the Marks Studio is shown in ads more than a decade after his death. Apparently saying "Marks Old Place" was better than giving an actual address. 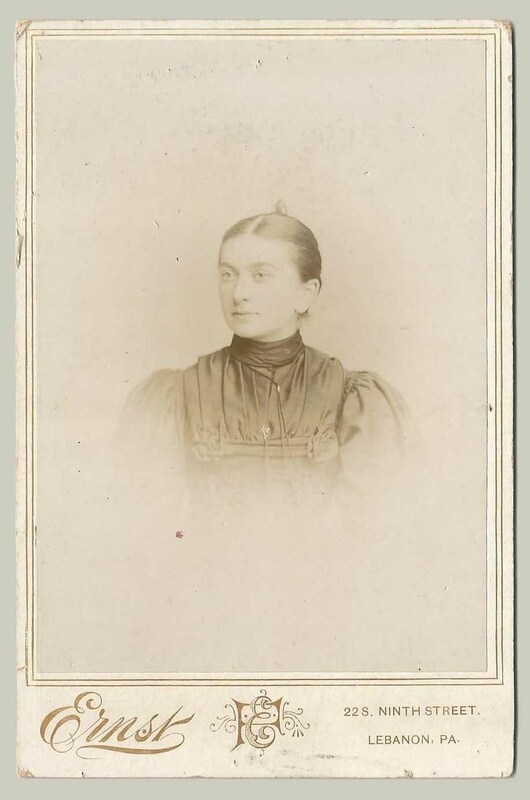 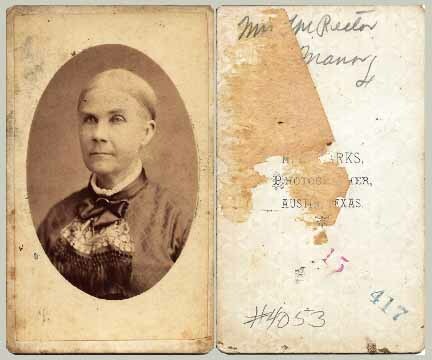 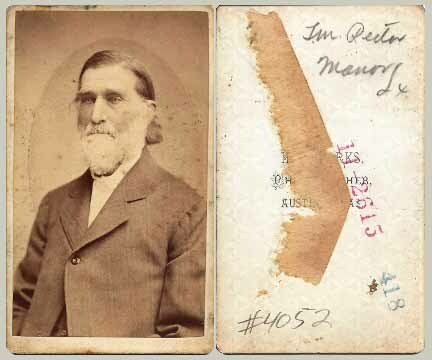 CDV example from "Slices of Time"
Not the one you were looking for? 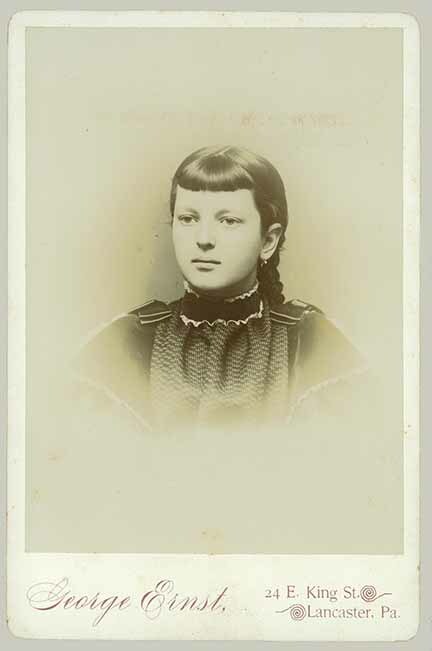 I am 4' 3", eat small insects, dress in the dark and take annual showers.